In truth, it's not as though we need any more footage to entice us into Nicholas Winding Refn's Only God Forgives but just in case you're not quite sold yet, or simply want to see more of what Refn has on order, here's a little treat. Two new trailers have emerged for the movie, both showing a little bit of new footage and both cementing the fact that this is one of the must see titles of the year, particularly if you're into Refn's slightly off kilter approach to drama and violence. And for the record, Kristin Scott Thomas is always awesome but she's channelling some serious amount of anger here. I love the venom that drips when she explains she's in town to bury her son. Yikes. 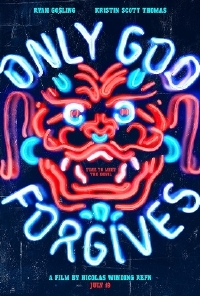 Only God Forgives opens July 19th.